The special administrator appointed to supervise the NFL’s Concussion Settlement announced on Monday that, over the course of a year and a half, the court had awarded over $500 million in claims to NFL players or their families. The figure exceeds what the National Football League initially approximated they would award over the next decade. The special administrator’s report counted 521 claims that the court paid out over the last year and a half since the settlement came into effect. Altogether, the worth of these claims totals at $502 million. Seeger Weiss, the class co-lead counsel, said in a news release that the NFL expected to pay out an estimated $404 million in claims, during the initial 10 years of the settlement. This figure was reported during the process for settlement approval. His prediction is that the NFL will, based on this rate, pay over 1.5 billion dollars over the course of the settlement’s 60-year term. As for the NFL counsel, they had yet to respond to any requests for comments on Tuesday. The court gave its approval for an uncapped settlement in the April of 2015 to end the multidistrict litigation that sparked between the NFL and five thousand retired players demanding damages for neurological disorders and concussions that had developed as a result of their careers. As per the report, the total number of claims is over 19,000. It further elaborates that the court denied 531 of those claims. Moreover, they also requested supporting documentation for 375 claims. The NFL requested U.S. District Judge Anita Brody earlier this month, to appoint a special investigator earlier to evaluate certain claims, to which she promptly declined. Their argument was that a large number of the claims could be “potentially fraudulent” in nature. However, the Judge responded by saying that the present screening process is fairly adequate. However, she said that if the claims administrator asked, she would appoint a special investigator. Based on the reports, the payout for 67 of the claims totaled over $84.5 million. Families of the deceased players received this amount. Tests showed that the players had a degenerative brain condition. The diagnosis showed that detection was only possible post-mortem, for the condition chronic traumatic encephalopathy. 157 of the claims totaled over $78.1 million. Families of players with Alzheimer’s received this amount. Moreover, 186 claims totaling more than $193 million went out to players who reported experiencing cognitive impairment as a result of their careers. 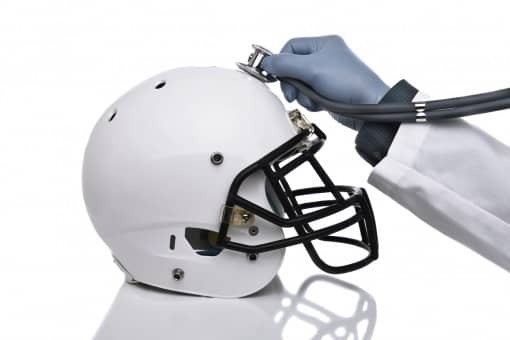 As a requirement of the NFL concussion settlement, retired players underwent over 6,000 neurological scans. The purpose of this exercise was to examine their brains for injury, as per the Seeger Weiss news release. If you suffered similar neurological disorders, such as ALS, Dementia, or CTE, because of head injuries, contact us at The Eichholz Law Firm.